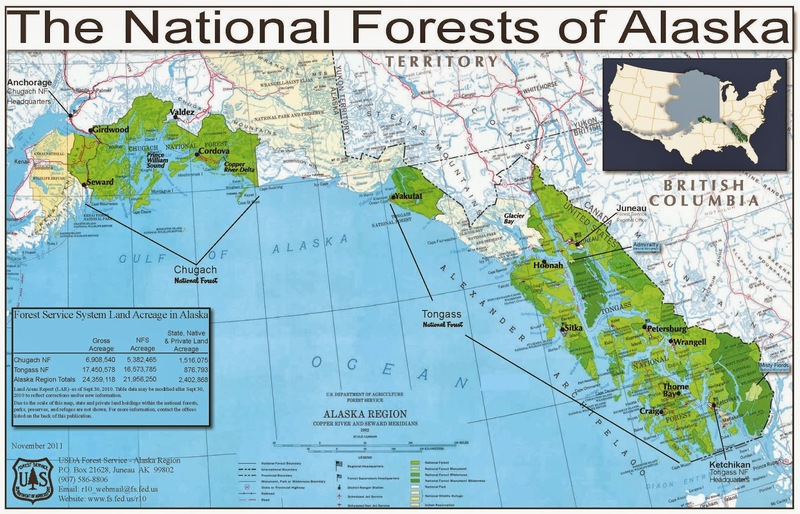 On August 20, 1902, just thirty-five years after the nation purchased Alaska the homelands of the Native people on the panhandle below Canada became the Alexander Archipelago National Forest upon presidential order, which included approximately 4 million acres (vol. 32, stat. 2025). 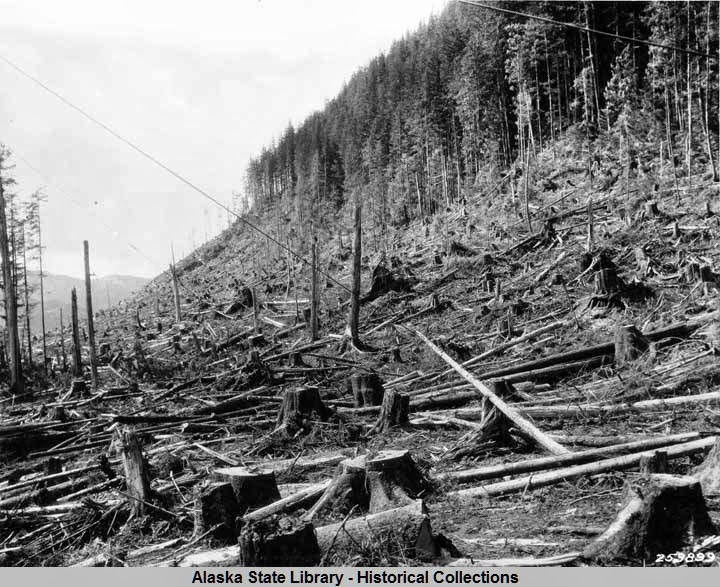 On September 1908, the project expanded to include 17 million acres altogether in the presidential pronouncement creating the Tongass National Forest. This action led to a decades long confrontation between Tlingit and Haida people with the United States. American West historians have of course covered developments surrounding this and how this legal battle led to the Tee Hit Ton v. United States case before the Supreme Court in 1955. The case involved the removal of timber from sites Natives claimed to be theirs. In response, the court proclaimed the Tlingit people held no actionable claim against the nation because the Congress had yet to recognize the Tlingit as holding possession of any right to the area. Following this ruling the nation and two regional groups finished working toward the Tlingit Haida claims settlement. With time, the broader Alaska Native population joined in and worked to settle land claims with the United States in 1971. This allowed for the drilling of crude on the region's north slope. On the ground during these sixty-nine years between 1902 and 1971 government agents, business owners, and individual actors asserted themselves upon the local Native communities in relentless ways. From just spending another couple of days in the archives rooting through the William Lewis Paul papers I am coming to terms with the high level of intensity which Tlingit and Haida people faced as functionaries usurped villages, stole their crest poles, and paid them low-wages. 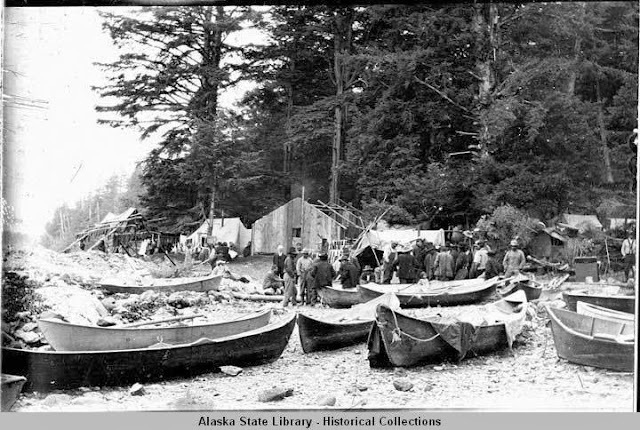 In 2008 the Forest Service acknowledged how in the early and mid-twentieth century their agents went through the Tongass National Forest, the Tlingit homeland, razing and removing indigenous fashioned cabins, smokehouses, and entire fish camps from the area. The removal of Tlingit domestic architecture and lifeways from the National forest was acted out in the name of conservation. The work Dispossessing the Wilderness: Indian Removal and the Making of the National Parks by historian Mark David Spence details how the government turned Native villages in the contiguous part of the nation into national parks with such a chapter explicating the dealings with the Blackfeet and the establishment of Glacier National Park. Other works, such as Nature's State: Imagining Alaska as the Last Frontier help understand the ideologies national actors held as they assumed the Alaska region as their own to exploit or conserve. Reading the work of scholars Richard Grove in his Green Imperialism: Colonial Expansion, Tropical Island Edens and the Origins of Environmentalism, 1600-1860, and V.M. Ravi Kumar in Green Colonialism and Forest Policies in South India, 1800-1900, has me considering how the development of national parks and forest preserves in twentieth-century Alaska reflect a green imperialist agenda and how Natives responded to such actions. Historian Ravi Kumar traces the European colonial forest policies and the role "desiccationist narratives of colonial scientists and officials, which contributed to the extending of state control over forests in South India." Desiccation are the effects of deforestation on the larger climate. He argues "the colonial state reinforced its control over forests by brandishing a discourse centered on the influence of forests on the physical climate and irrigation systems (104)." The way Kumar considers the discourse of desiccation is as a form of control over indigenous land use. This proves to be a very portable conceptual framework. Tongass: Alaska's Tongass National Forest included the greatest tracts of rain forest outside the tropics. Subsidized logging is ripping them apart." The article is an adventure piece where the author also gives a praise worthy account of the battle between the logging industry, the forest service, and conservationists. The article makes the case that the Tongass is a national treasure that should be conserved at all cost. Pieces such as these leave me wondering (in the words of Rey Chow) "where have all the Natives gone?" The lovely journey he embarks upon in the story would undoubtedly make most people think about the amazing cultures of people who have always inhabited the area. In the reading this armchair adventurer found little signs of Native culture. Perhaps for non-Natives the indigenous people, whom still live in the region, come be what the Forest Service describe as the "former caretakers" of the area instead of intricate pieces of the regional ecology. It's impossible to separate them from those waters and lands. This omission arises because Chadwick centers his healthy and true concerns for the forest as a national possession be controlled by extractive/conservationist discussions. In fact through his explication of resource extraction history and the growth a movement to conserve the forest he writes, "it seems to have become a symbol in a much larger contest of beliefs about what frontiers are for and what the truest measure of a nation's progress should be." The nation should be judged, he asserts, by how it treats the forest, the "frontier." Perhaps if the nation could consider the forest not a frontier but a homeland to cultures whom have managed the region for thousands of years without ruining the ecosystem, then perhaps this contest of beliefs would relinquish?